This year, FLVS is excited to host our fall photo contest allowing students to share their success stories. 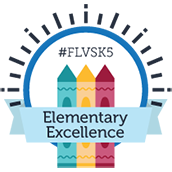 We know our students are fascinating people who use the flexibility provided by FLVS to do great things – and we want to hear all about it! 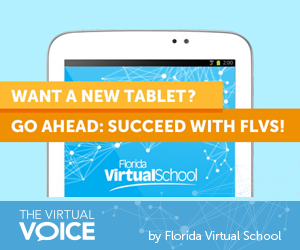 Using Instagram, Twitter or Facebook, we are asking students to show how FLVS has helped them succeed. You can even win a tablet! 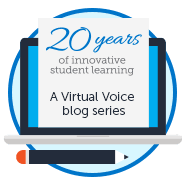 Over the past few weeks, we’ve received all kinds of great submissions that showcase how unique Florida Virtual School students really are. We’ve heard from kids who act, students who travel all over the world, and those who just want to get their education in peace. We have met girls who play football, wrestle, or compete as archers. We have students who volunteer for Special Olympics, pursue creative hobbies and career opportunities, and finish high school early. Check them out here! Do you have a success story to tell? There’s still time to submit your entry before the contest closes on Monday, September 21, 2014. All photos go through an internal approval process before being displayed on the FLVS Facebook contest tab. Once approved, fans have the ability to vote for their favorite photos on the Facebook tab. Three final winners will be chosen to receive a tablet, including one with the most votes, one selected by a panel of judges, and one chosen at random. Now’s your chance to win a tablet – and maybe even be featured in a future student spotlight! Enter through our Facebook contest tab here. This entry was posted in Student Edition and tagged Florida Virtual School, FLVS Photo Contests, Goals, Leadership, Photo contest, Social Media, Student Achievement, Student Impact, Student Spotlight, Student Success on September 16, 2014 by Guest Blogger.